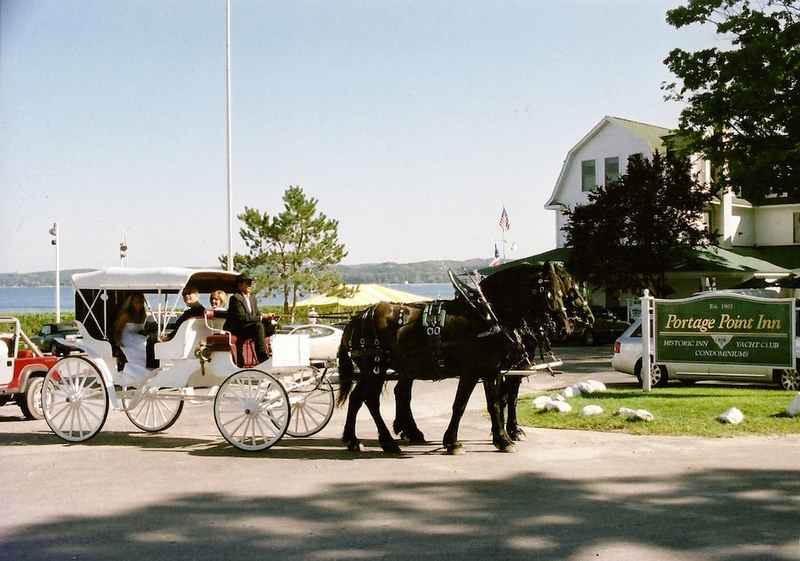 We are a beautiful waterfront Historic Inn built in 1903 located between the gorgeous shores of Portage Lake and Lake Michigan in Onekama - Northwest Michigan. 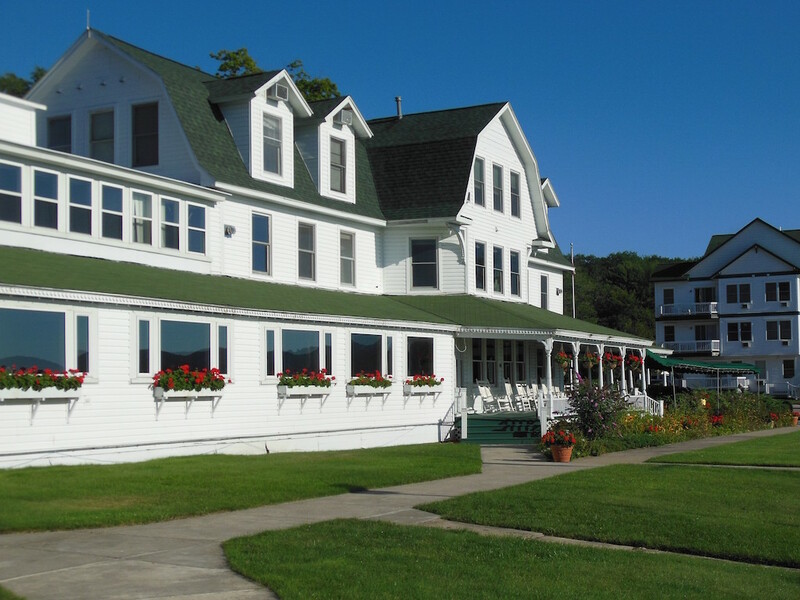 Nestled on a peninsula between the sparkling waters of Portage Lake and the unmatched beauty of Lake Michigan, the Portage Point Inn is the perfect place to leave your everyday life behind. You’ll feel yourself exhale as you take a break from the hustle and bustle of your hectic schedule and settle in to our beautiful waterfront paradise. 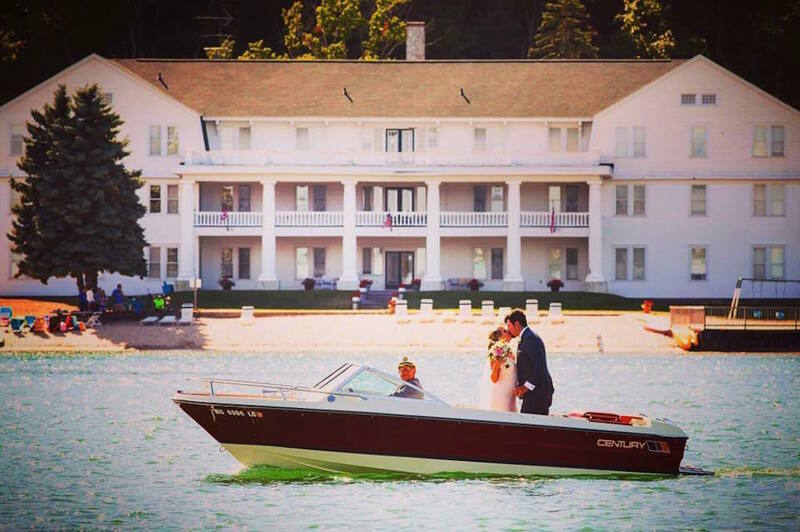 Your day begins with a spectacular, lakefront sunrise on Portage Lake and winds down with a world-class sunset on Lake Michigan. Pack your summer essentials like bikes, water toys, a great book, and your favorite shades. 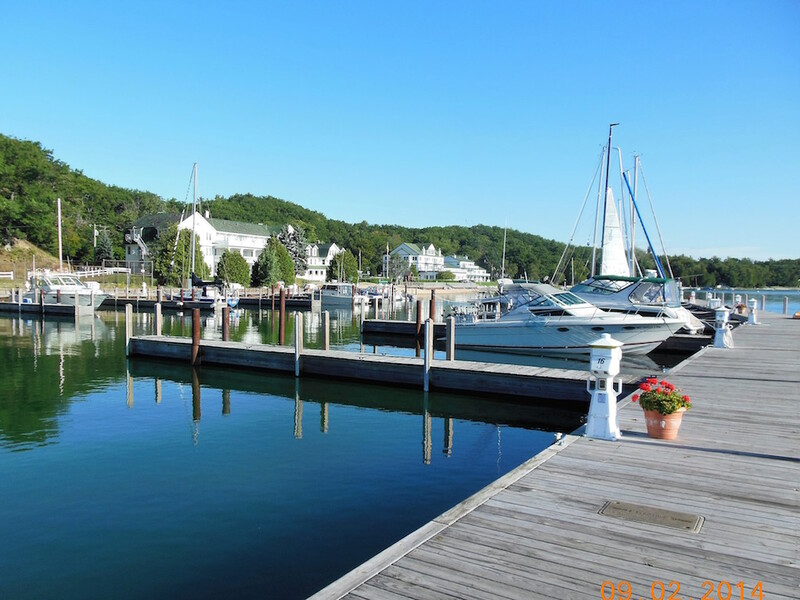 And, if you're bringing a boat, don't forget you can reserve a boat slip right at the resort. 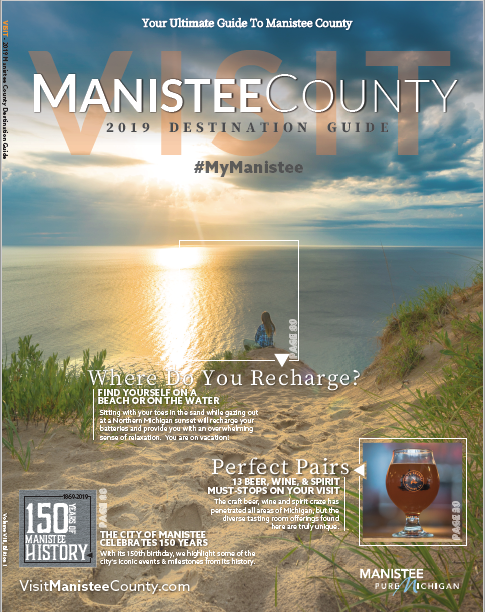 And, there’s something for every season. 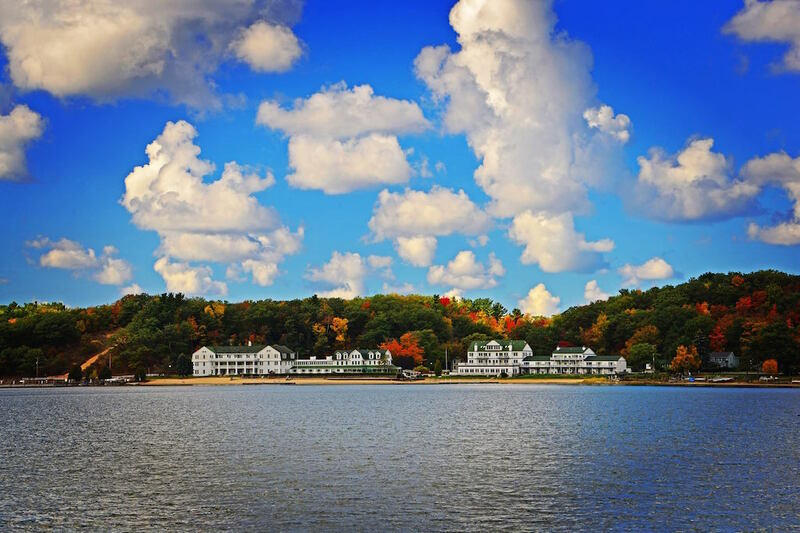 Whether you’re looking for a perfect summer beach escape, a fall color tour, or cozy winter weekend, Portage Point Inn is the perfect place to make memories. For over 100 years, PPI has been the foundation of the Onekama community. 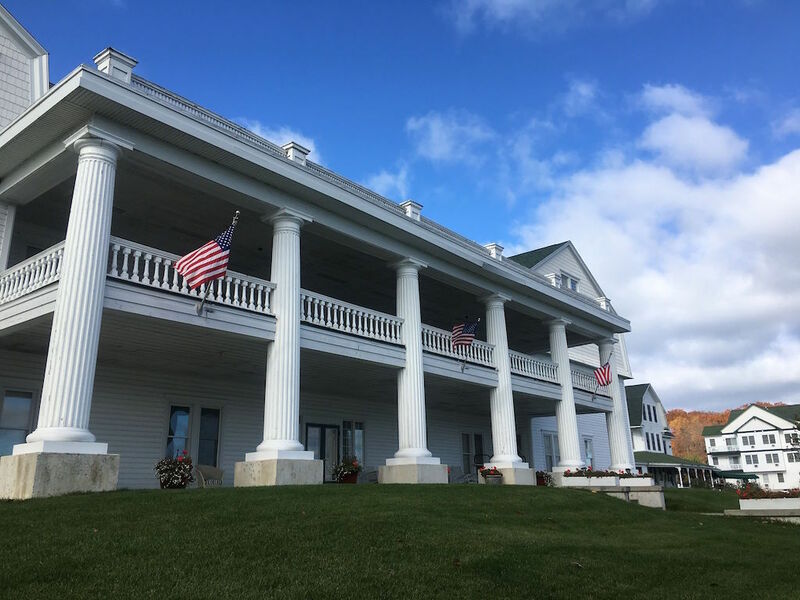 The historic character and charming atmosphere have had their shine dulled, but through the dedication and commitment of the new owner you can see history in the making as this majestic inn continues to transform into her former glory.